"As we pulled up at Phnom Tamao, I noticed out of the corner of my eye that a monkey had escaped from its cage. Wait, more than one! Like, a whole enclosure’s worth! My urgent attempts to relay this disaster to the driver and guide was meant with laughter. Those were wild monkeys." 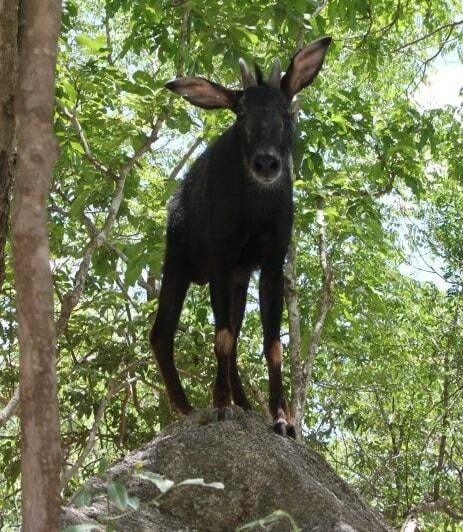 Ta Mao Zoo is a wonderful and interesting zoo, the largest in Cambodia which is located outside in Tro Pang Sap village, just inside the picturesque province of Takeo. The zoo is actually a single element of 'Phnom Ta Mao'. The area contains the zoo, a mountain which has many temples around it (including the ruins of a temple from the reign of Suryavarman I at the summit) and a wide variety of wild nature. 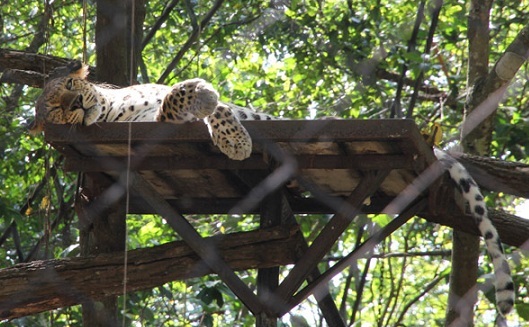 The zoo itself covers 80 hectares, the remainder has been reserved for its future extension and development. 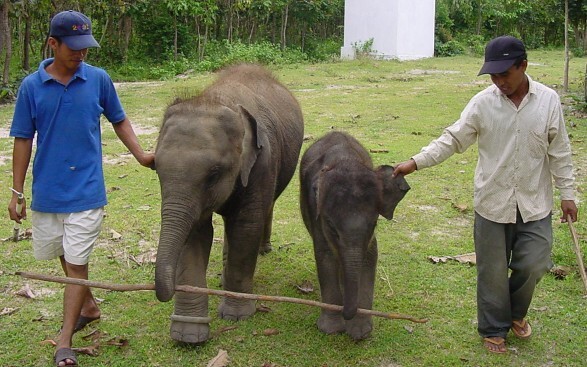 The sanctuary is continually undergoing improvements and strives to provide suitable habits for its larger animals. It was set up to preserve and rescue rare and endangered local wildlife. 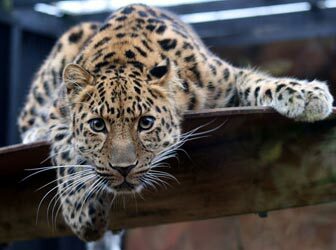 Some rare species housed here, including tigers, leopards, a lion and several species of exotic birds. At least two dozen of the species found here are endangered. Most animals are former victims of the illegal pet trade, or were rescued from poachers and traffickers hoping to sell them for their valuable pelts, skins, or body parts. Traditional Asian medicine falsely relies on many endangered animal organs such as tiger bile or sun bear liver. The Phnom Ta Mao Zoo was first set up as a rescue centre for victims of illegal wildlife trade and is now managed by Wildaid and the Free the Bears Fund. They are doing a great job. Around 95 percent of the animals recovered by Wildaid are released within days, say Wildaid officials. However, some are too sick, or orphaned at such a young age, that the possibility of a successful return to the wild is minimal. These animals make up the zoo's permanent residents. Phnom Ta Mao is by far the largest zoo in Cambodia and the influx of visitors testifies to this. It was officially opened by Prime Minister Samdech Hun Sen in 2000, although it had been running for some five years previously. Within the zoo the selection of animals to view is impressive, with 84 varieties of animal and bird in total including native reptiles, lions, bears and 38 kinds of birds. Being located 45 kilometers outside Phnom Penh also, the journey itself is very pleasant taking in delightful Cambodian countryside.